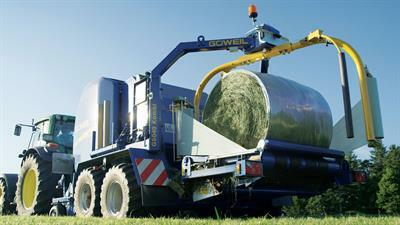 An extensive range of products for moving and feeding out hay bales. By John Berends Implements Pty Ltd based in Dandenong, AUSTRALIA. By Cannonball Engineering, LLC based in Kingman, KANSAS (USA). By Blunier Implement, Inc. based in Eureka, ILLINOIS (USA). Designed and manufactured to remove Heston hay bales from a dryer, rotate them through 180 degrees and then put them back in. This will greatly speed up the operation. It can also be used out in the field for loading. 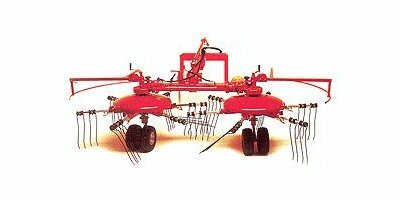 By Agriweld Ltd based in Driffield, UNITED KINGDOM. Four Bale, Bumper Pull 4 Bale Trailer With Trip Handle Dump. By Interstate Equipment Co. Inc. based in Thomson, GEORGIA (US) (USA). 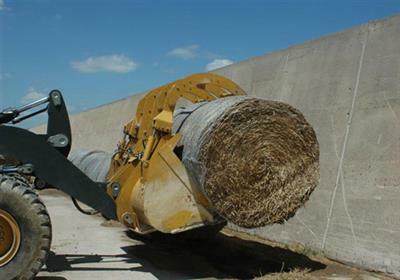 Typical Uses:With Buckets: Loading feed trucks, stacking bales, corral cleaning, working silage from top to bottom of the pile, handling chopped hay. 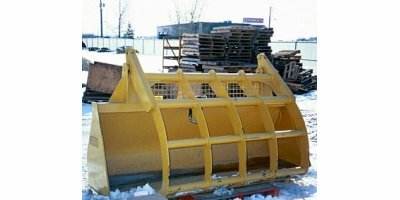 Rylind Grapple Buckets are designed for handling bulk materials like hay, brush, trash and other recycled materials. Weld-on grapple kits are available for your OEM bucket. By Ashmore Engineering Pty Ltd. based in Farrell Flat, AUSTRALIA. By Jadan Enterprises based in Cowra, AUSTRALIA. 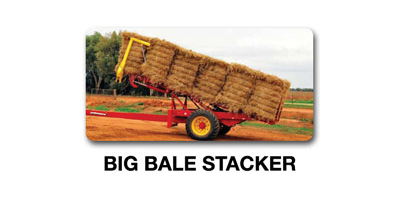 Our Double Bale Handler is for the transportation and stacking of stack two 4’ wrapped bales without damaging the film .The rotating paddles can handle sagged/misshapen bales. 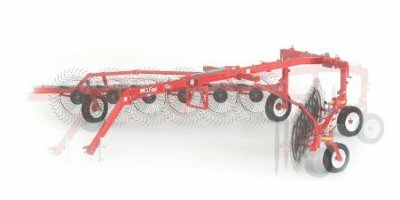 The paddles can be removed, allowing the unit to be used as a double spike for handling straw, hay and mature silage bales. 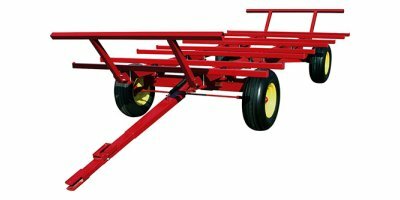 Bull tested and farmer approved, the heavy-duty, 3-piece round is manufactured with slant bar construction and is our toughest bale feeder. 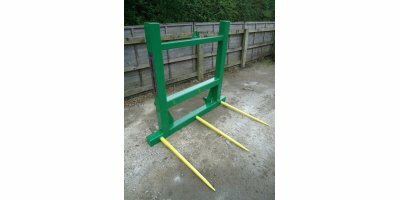 Available with or without a hay saver skirt, our bale feeders are designed for easy transport and handling. 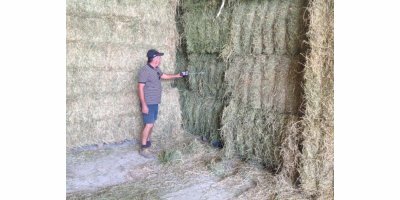 Rondotex is the premium brand for perfectly executed hay, straw and silage bales. Available as net and film solutions, Rondotex offers a wide-ranging portfolio for different applications and requirements. Easy to handle, intelligently designed, and multi-award winning.